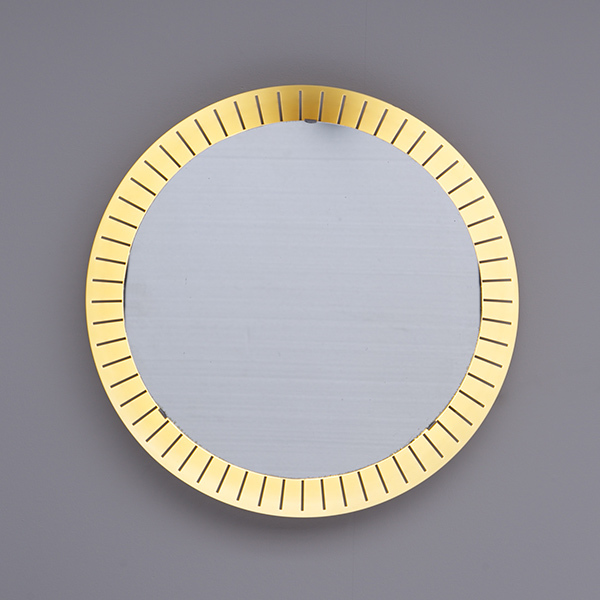 A large round mirror inset upon a larger brass shallow bowl with pierced edge. Sandwiched between the brass bowl frame and the mirror is the lighting element which illuminates the mirror. Three clips hold the mirror in place.